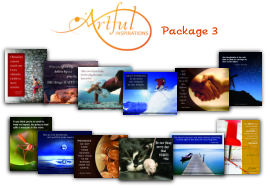 Artful Inspirations Motivational Images and Corresponding Success Tips from Ready2Go Marketing Solutions, Inc. 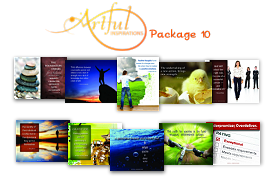 BUNDLE: Choose 3 of the 10 packages above. 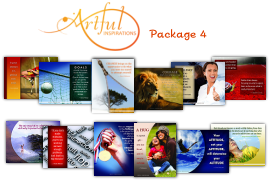 What better way to stay in touch with your clients and prospects than to send them a bit of inspiration to warm their soul. Zig Ziglar said it best when he said, "People often say that motivation doesn't last. Well, neither does bathing - that's why we recommend it daily." 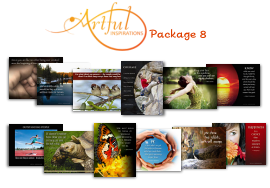 With Artful Inspirations images and corresponding success tips, you will not only be welcomed in your client and prospect's email box, but you will be anticipated! 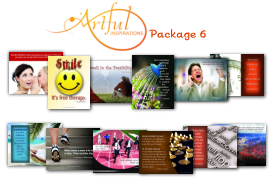 There are many daily motivation services, but none like Artful Inspirations. 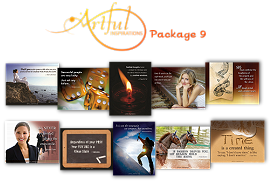 Artful inspirations are a unique blend of hand-picked quotes and pictures with corresponding success tips. 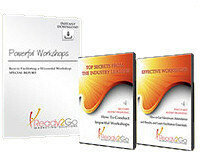 They are a powerful tool to grow your list and your income. 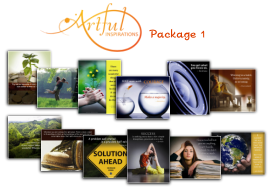 With Artful Inspirations, you will deliver a great product that will be welcomed, and anticipated in your client and prospects’ email boxes. Many people enjoy short, simple doses of inspiration every day making this a sure fire way to stay in touch with your list in a meaningful way. 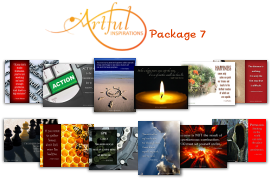 Use Artful Inspirations as a free service to build your list. Motivation is very viral, and people will forward inspirational and humorous messages to their friends, family and colleagues more than anything else. 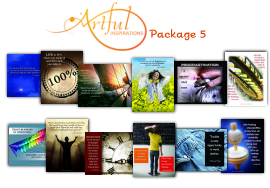 Use Artful Inspirations as a part of a membership program to generate income. Send an Artful Inspiration and tip every day or every week. Add some coaching questions, and create an accountability and support program. The SKY IS THE LIMIT! These motivators are a powerful way to grow your list, and to keep in touch in a meaningful way, and generate substantial income. 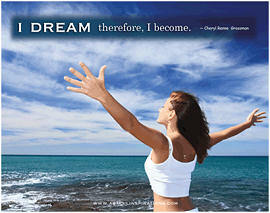 And a daily, or weekly motivator is easy to automate and send! NOW! 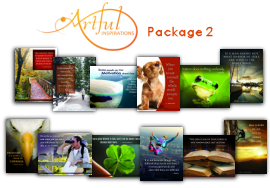 10 packages to choose from and more coming soon.